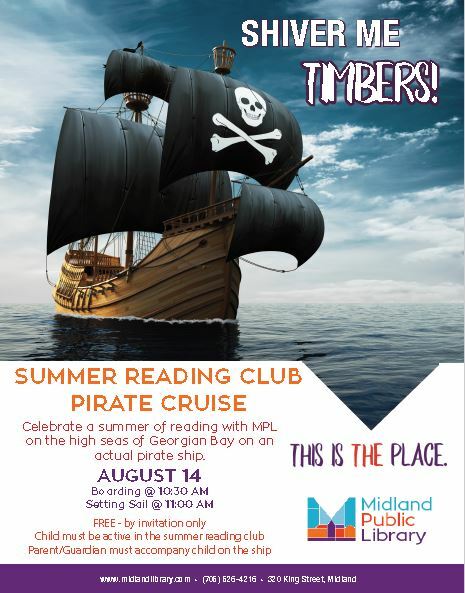 Celebrate a summer of reading with MPL on the high seas of Georgian Bay on an ACTUAL PIRATE SHIP! ** To be invited your child must be an active member of the library summer reading club. A parent/caregiver MUST accompany child on the ship for the duration of the event. Waiver forms MUST be returned prior to boarding.